Find out what's available from our range of Canon printers. Call one of our Canon experts today. Our range of Canon printers includes a wide variety of models that excel at everyday office printing tasks. We provide Canon models that prints in black and white, colour or A3 paper sizes. We offer a range of Canon copiers that make it easier to reproduce your work. Enjoy the simplicity of sharing and printing documents with your new Canon and compatible smart devices. A Copysonic service agreement can be customised to suit your photocopier's usage. Maintenance checks and toner refills can be arranged to keep your Canon printers running efficiently. New and used Canon printers can be covered under warranty. A 90 day warranty or 10,000 print warranty comes with the purchase of any Canon printers from Copysonic. Over the years we've serviced clients from various industries. From lawyers to real estate agents, you'll be surprised to see just how many different clients we've helped over the years. While each client has their own unique office setup, one thing stays the same, our commitment to providing the best office printer solutions. We'll assess your office's needs and provide a reliable machine that benefits your office now and well into the future. Our range of new Canon printers and copiers offer the latest in cloud-sharing technology. Enjoy the simplicity of printing and sharing from multiple smart devices in the office. We refurbish our entire range of used Canon printers and copiers. It's why we guarantee with confidence that any used model will be in great working condition when you purchase it. For over 25 years we've stocked, delivered, and installed reliable brands such as Canon. We consider workflow and budget expectations before offering you a tailored payment plan. Our technicians can carry out same day service calls for repairs, maintenance, and refills. Repairs and refills for your Canon printers can be covered by a Copysonic service agreement. All Copysonic technicians have a minimum 15 years of experience in photocopier repairs. Call one of our print experts, and find a new canon printer loaded with smart office features. Contact our specialists by phone or email to discuss your office's needs and expectations. A face-to-face meeting can be arranged if it's more convenient for you. Our specialists will provide you with a few quotes on photocopier models available. The models we suggest are ones we think will best suit your budget and workflow expectations. After choosing which model you prefer, payment options can be discussed. Finance can be arranged to gradually pay off a new model or you can choose to rent a model instead. We will confirm a suitable date to deliver and install your new Canon copiers. Our technicians will install your new model or models and ensure it's integrated with your office network. Your new Canon printer is ready! After installation, your new Canon printer is ready for office use. Our technicians can walk you through the basic functions of your new model. As our business grew from personal office printers on desks, we needed a photocopier solution for our printing and scanning needs. Lambros and his team provided excellent service and were onsite very quickly in the event of a service call. We found Copysonic attentive, pleasant and more than 50 per cent cheaper than dealing directly with manufacturers. Digital360 have used Copysonic for over 3 years and they have provided great service. Our previous supplier (a major manufacturer) took days to attend to a service call which kept us offline and was very frustrating. Copysonic have been excellent and we will continue to use them in the future for our needs. Can I purchase a new or used Canon photocopier from Copysonic? New, used, and ex-demo Canon models are available to purchase through Copysonic. Can you repair and service Canon photocopiers? Yes, we can. 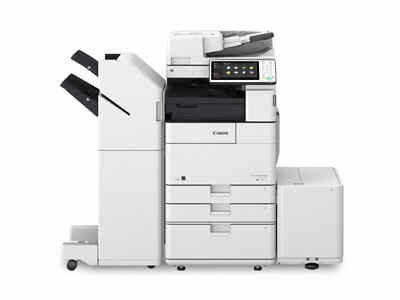 Our team of experienced photocopier technicians are very familiar with Canon models. With access to replacement parts, they are capable of repairing your photocopier and getting it back in working order. What type of warranty can you provide for a Canon photocopier? There is a 90 day warranty or 10,000 print warranty available with the purchase of any Canon photocopier from Copysonic. Depending on your office's usage, you can claim whichever warranty comes first. Can you set up my Canon photocopier for networking capabilities? Yes, we can. 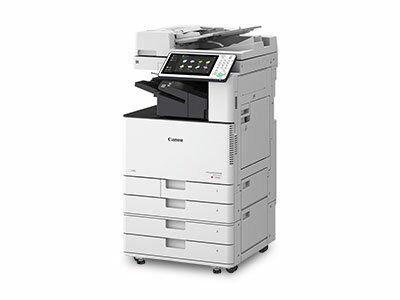 Our technicians will ensure your new Canon photocopier is connected to the office network on the same day it is delivered and installed. Fill out your details below, and we'll answer your questions about our range of Canon photocopiers today.